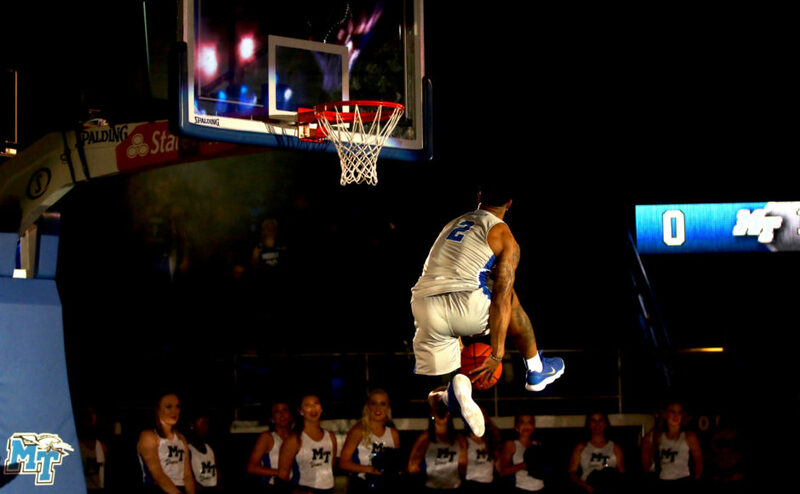 Antwain Johnson goes up for a between-the-legs dunk during Murphy Madness in Murfreesboro, TN on October 26, 2017 (Devin P. Grimes/ MTSU Sidelines). 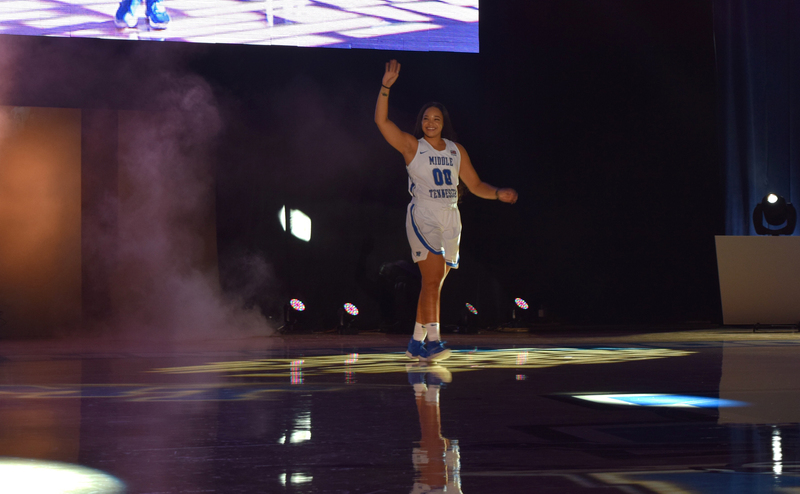 The Middle Tennessee men’s and women’s basketball teams got their first chance in front of their fans on Thursday, when they took the court for the 2017 rendition of Murphy Madness. 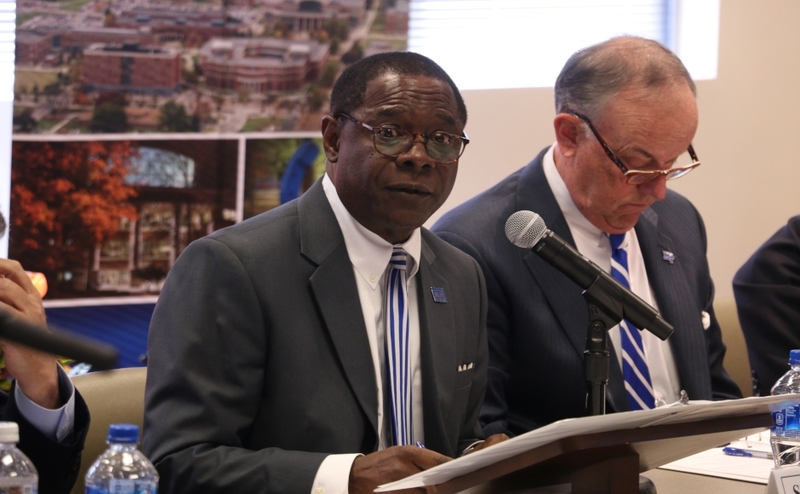 Both teams are looking to build off of successful seasons, with the men’s team coming off of a 31-win season that saw them advance to the NCAA Round of 32 for the second straight year. 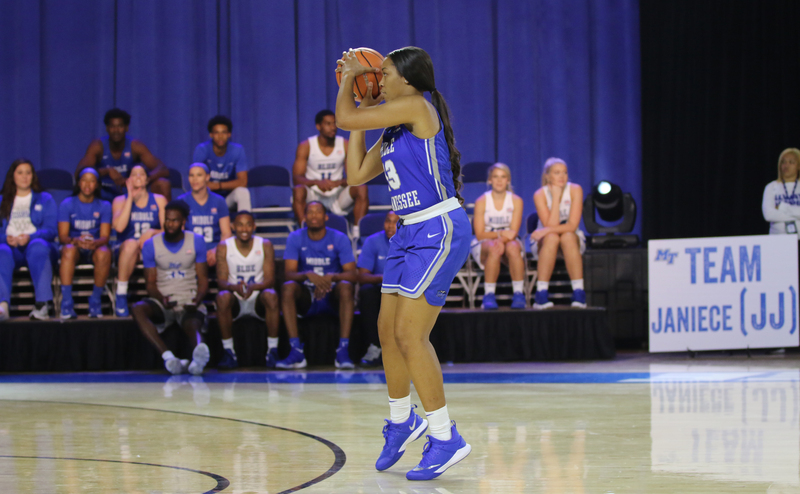 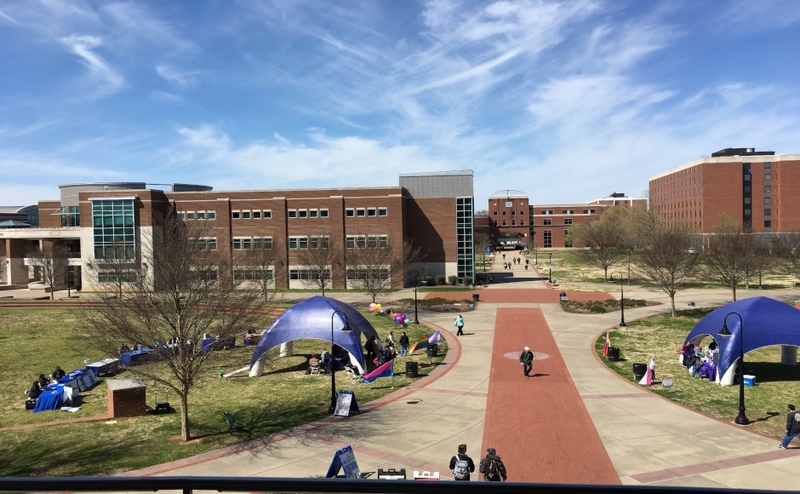 Both teams have plenty of newcomers, as players like James Hawthorne, Zeynep Canbaz, Anna Jones and David Simmons got their first chance to show their skills to the Blue Raider faithful. 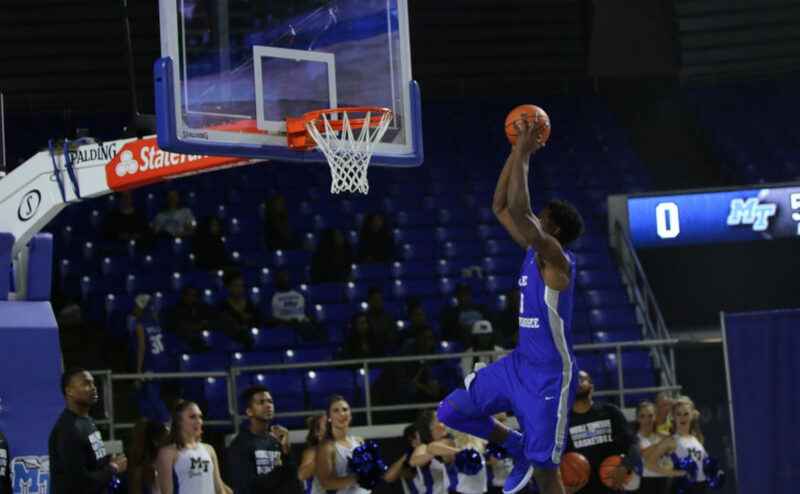 Returning guard Antwan Johnson capped off the night by winning the slam dunk contest for the second consecutive year, while Abbey Sissom and Giddy Potts upheld their reputations as deadly three-point shooters. 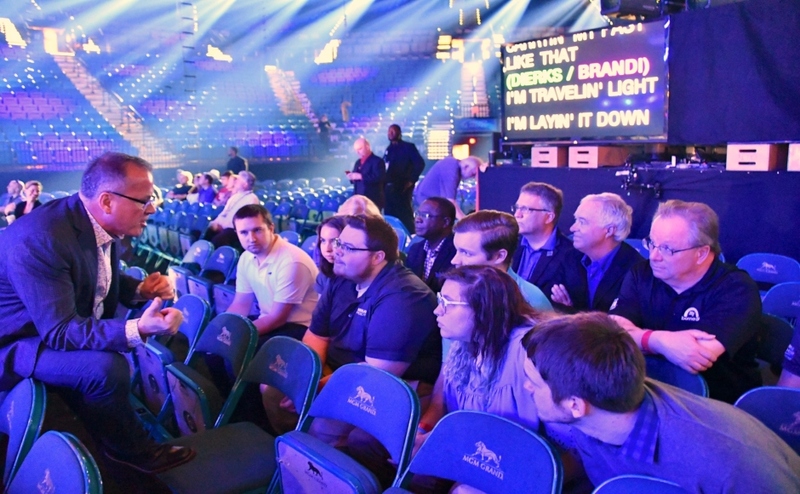 Though they may have lost talent, both teams are rounding into form with the season just days away. 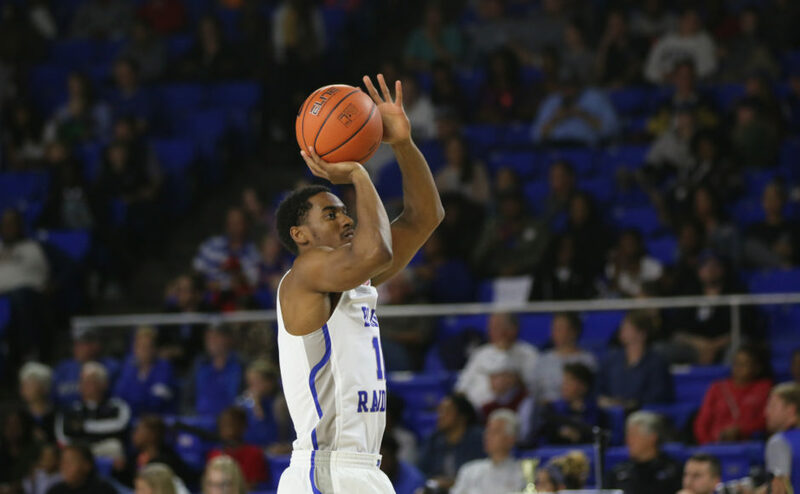 Junior Alex Johnson waves to the fans during Murphy Madness in Murfreesboro, TN on October 26, 2017 (Devin P. Grimes/ MTSU Sidelines). 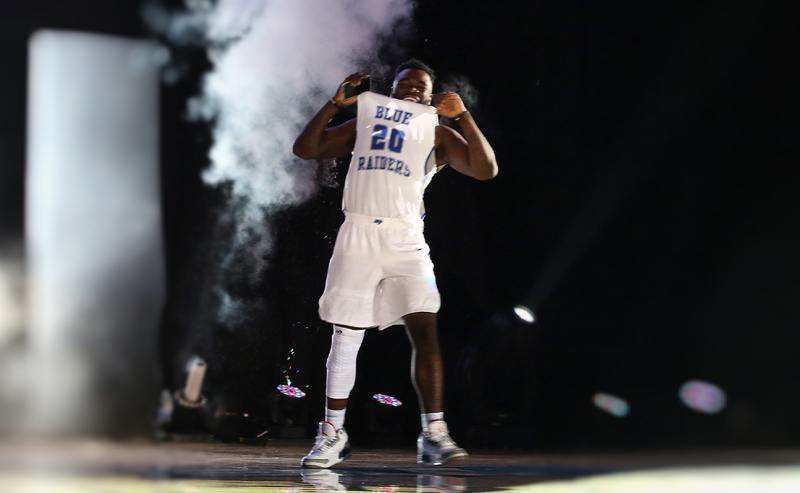 Senior Giddy Potts comes out fired up during Murphy Madness in Murfreesboro, TN on October 26, 2017 (Devin P. Grimes/ MTSU Sidelines). 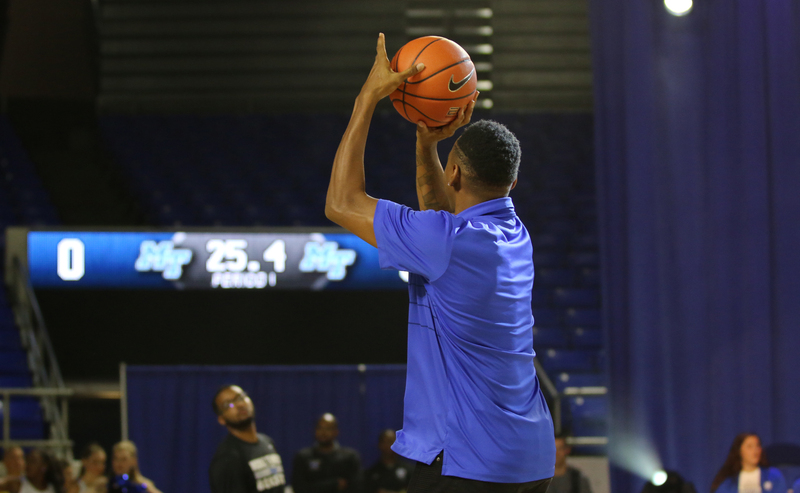 Graduate assistant Jaqawn Raymond takes a shot during Murphy Madness in Murfreesboro, TN on October 26, 2017 (Devin P. Grimes/ MTSU Sidelines). 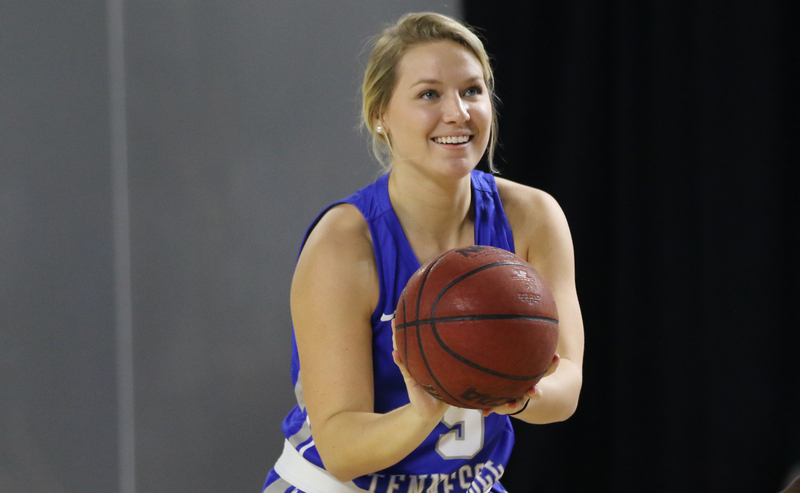 Senior Abbey Sissom smiles as she takes part in the three-point shootout during Murphy Madness in Murfreesboro, TN on October 26, 2017 (Devin P. Grimes/ MTSU Sidelines). 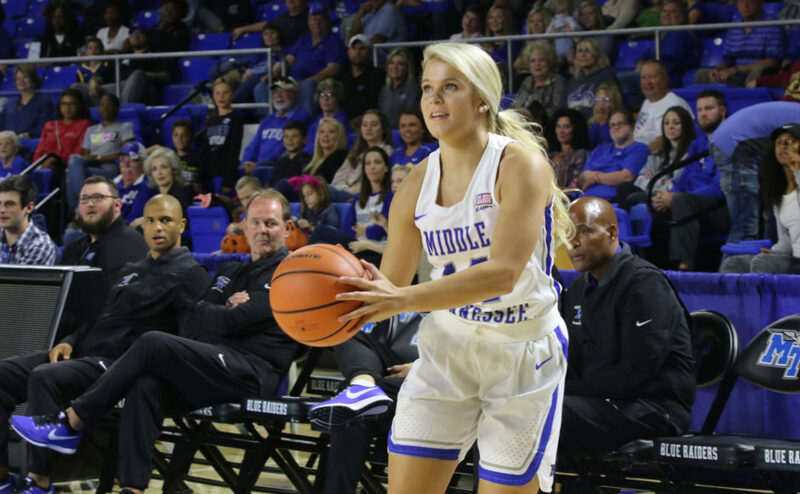 Junior Katie Collier eyes a three-point jumper during Murphy Madness in Murfreesboro, TN on October 26, 2017 (Devin P. Grimes/ MTSU Sidelines). 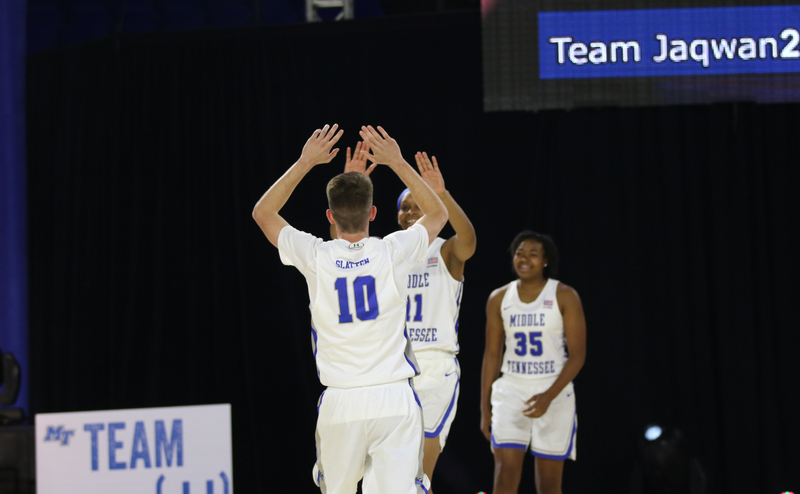 Sophomore Will Slatten celebrates with freshman Jadona Davis and Charity Savage after winning a drill during Murphy Madness in Murfreesboro, TN on October 26, 2017 (Devin P. Grimes/ MTSU Sidelines). 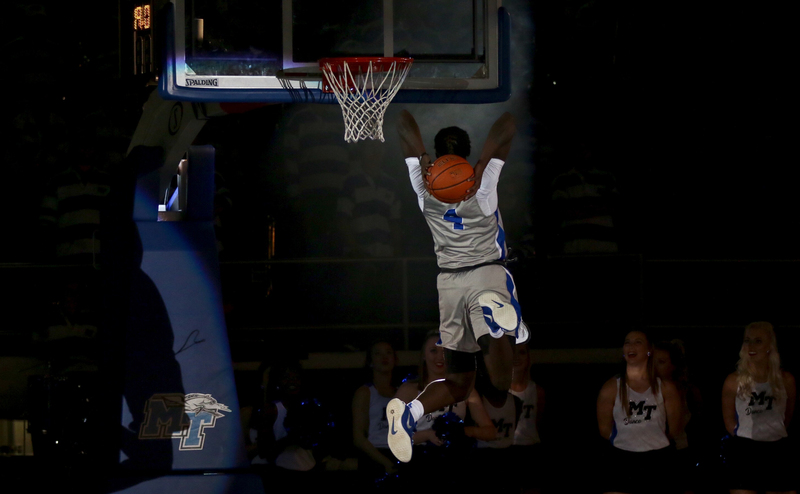 Junior James Hawthorne goes up for a dunk during Murphy Madness in Murfreesboro, TN on October 26, 2017 (Devin P. Grimes/ MTSU Sidelines). 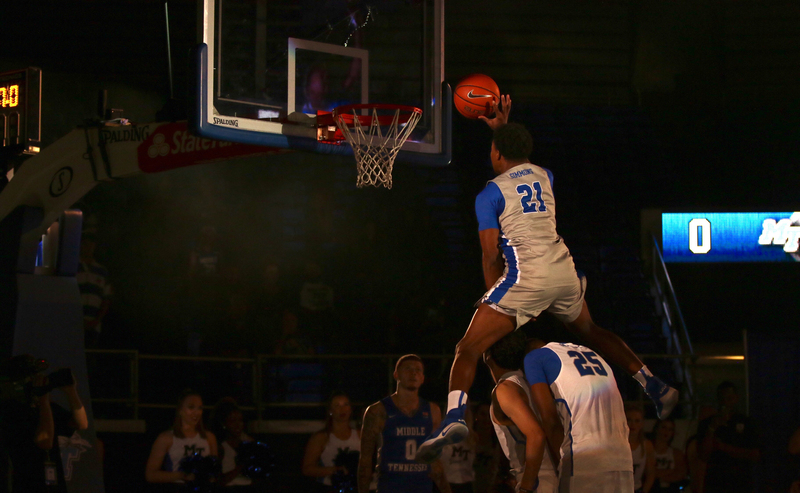 Junior David Simmons leaps over Karl Gamble and Chase Miller during Murphy Madness in Murfreesboro, TN on October 26, 2017 (Devin P. Grimes/ MTSU Sidelines). 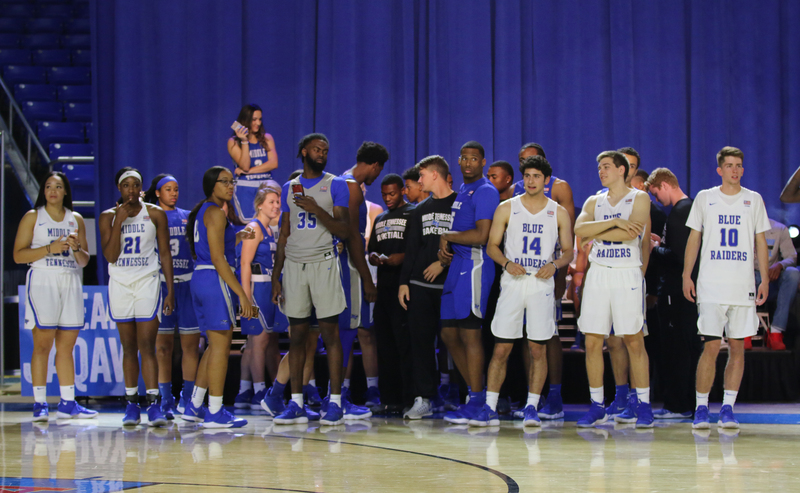 Both basketball teams were all smiles during Murphy Madness in Murfreesboro, TN on October 26, 2017 (Devin P. Grimes/ MTSU Sidelines). 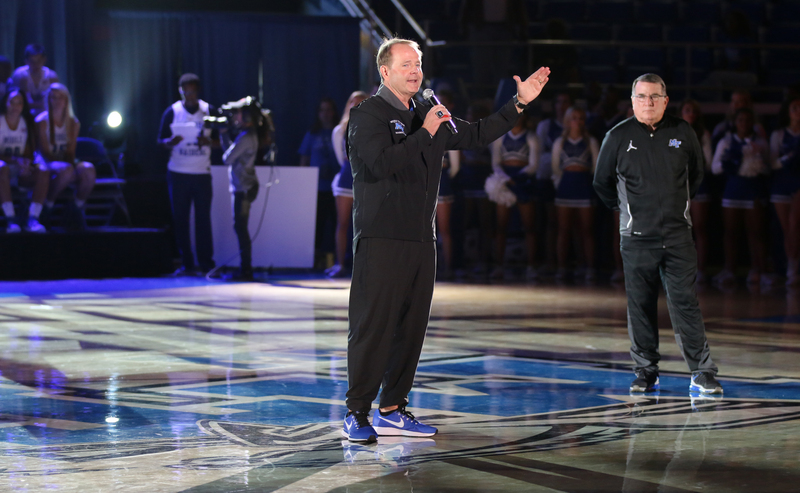 Head coaches Kermit Davis and Rick Insell addressed the fans during Murphy Madness in Murfreesboro, TN on October 26, 2017 (Devin P. Grimes/ MTSU Sidelines).